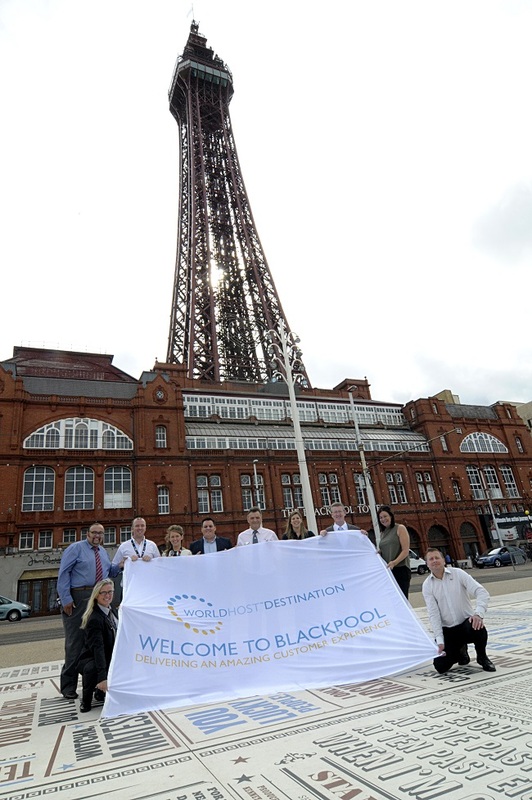 Blackpool has become the UK’s biggest tourist resort to gain national recognition for its commitment to customer service, after being awarded WorldHost Recognised Destination status. Blackpool received the recognition after it trained over 2,500 front line staff using WorldHost customer service training programmes over the last 2 years and signed a commitment to delivering amazing customer service. WorldHost is a suite of world-class customer service training programmes that have already been used to train over 200,000 people in the UK. Programmes include training on serving customers with disabilities, welcoming customers from other cultures, increasing sales through service and an introduction to the general principles of customer service. Each of these businesses have also gained Business Recogniton Status in their own right meaning at least 50% of their front line staff have been trained to WorldHost standard, in addition to their general training. A range of other businesses linked to the visitor economy have also embraced the standard – from smaller hoteliers to large retailers including Boots and M&S, and Illuminations Ambassadors. Cllr Gillian Campbell, Deputy Leader of Blackpool Council, said: “We are absolutely delighted that Blackpool has become the biggest tourist resort in the UK to gain WorldHost status. It’s fantastic that all the hard work and commitment has paid off – the accolade is well deserved. On receiving the recognition, Nigel Kilgallon, Chair of the Blackpool Tourism Academy, and Director of Blackpool Pleasure Beach, said: “We are proud to become a WorldHost Recognised Destination – it’s a testament to the fantastic commitment that businesses in Blackpool have made to delivering excellent service. The WorldHost recognition was awarded by workforce development expert People 1st, which is rolling out the WorldHost training programmes across the UK in an effort to improve customer service standards. Sharon Glancy, executive director at People 1st, congratulated Blackpool on its achievement. She commented: “Becoming a WorldHost Recognised Destination is a fantastic achievement and it’s incredibly encouraging to see so many businesses willing to go the extra mile for their customers.